Do your gums bleed when you brush or floss? Oral bleeding never signals anything good, but this situation in particular indicates that you may have gum disease. And gum disease can have a far- reaching impact on your overall dental health. Your gums anchor your teeth into place. They also provide a protective barrier for your tooth roots and jaw bone. Without your gums, your oral condition would quickly deteriorate. If the gum tissue around the teeth starts to wear away or pulls back to the roots of the teeth, your teeth can become more sensitive and the receding gums can affect the quality of your smile. 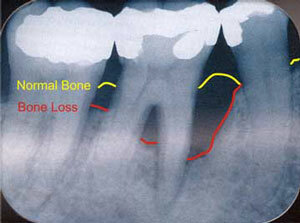 So if your gums have problems, you may see an increase in other dental issues, such as cavities. Solve these issues by visiting Stoma and consulting dentists here. The best way to prevent gum disease from becoming a serious threat to health is to attend your regular dental checkups and periodontal examinations. Patients should also brush and floss on a daily basis and maintain a well-balanced diet. When it comes to periodontal disease, we offer state-of-the-art treatments in the comfortable environment you deserve. To schedule your dental checkup or gum disease treatment, please contact our clinic today. 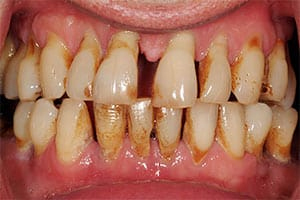 The earliest and most treatable stage is gingivitis. Patients may experience red, swollen and/or bleeding gums. 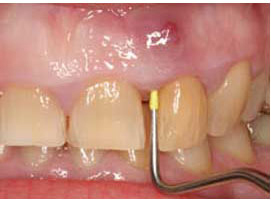 Periodontitis is a more advanced stage of gum disease that can cause damage to both the gums and the surrounding bone. 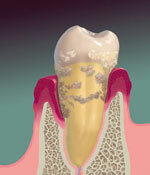 If left untreated, periodontitis can lead to tooth loss and other serious consequences. 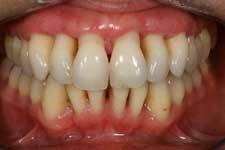 Untreated gingivitis can advance to periodontitis. 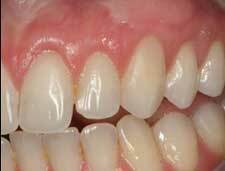 With time, plaque can spread and grow below the gum line. Toxins produced by the bacteria in plaque irritate the gums. The toxins stimulate a chronic inflammatory response in which the body in essence turns on itself, and the tissues and bone that support the teeth are broken down and destroyed. Retaining your teeth is our concern. If you have gum recession that is a result of periodontal disease, a dental professional can provide a deep cleaning (root planning and scaling) that removes plaque and tartar buildup around the tooth and root surfaces below the gum line. In some cases, antibiotics are also administered to reduce harmful bacteria remaining the spaces between your teeth and gums. At Stoma, dentists will be scaling using ultrasonic scalers which ensures complete plaque and calculus removal, with patient comfort. Advanced form of gum diseases, will be treated by either deep scaling, root planning or in very advanced disease where the bone is involved it may be a gum surgery. We begin by a thorough evaluation on the first day of your visit, we typically do not schedule treatment on the same day in order to answer all of your questions are answered prior to any treatment being provided. We also want to know the about your medications, allergies or other pertinent information that could affect your dental care. Please Note: All patients under the age of 18 must be accompanied by a parent or guardian at the consultation appointment. We will complete an in depth medical and dental health history and a thorough examination to measure for bone loss, loose teeth, bite, oral cancer screening, TMJ and other signs of periodontal disease. 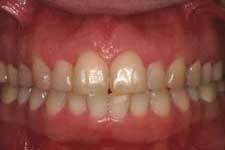 Non-surgical treatment is indicated when you have been diagnosed with gingivitis and mild forms of periodontitis. Scaling and Root Planning is done by a careful cleaning of the root surfaces to remove plaque and calculus [tartar] from deep periodontal pockets. 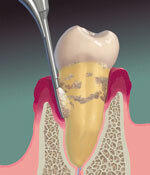 This allows the gum tissue to heal and reattach to the tooth. 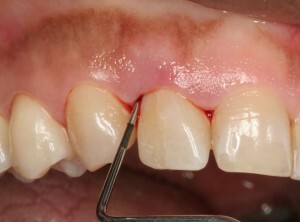 In some cases, the occlusion (bite) may require adjustment. For those patients who did not respond well to traditional therapy (scaling and surgery), antibiotics are used straight to the pocket. Anti-microbials (chemical agents or mouth rinses) may be recommended to help control the growth of bacteria. 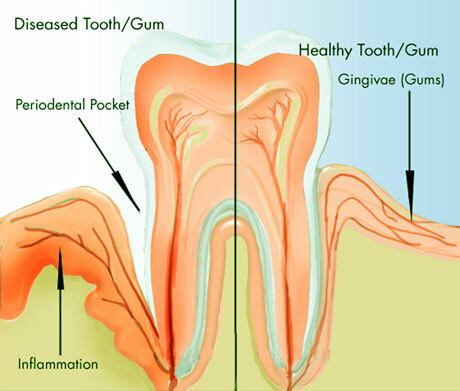 Pocket Depth Reduction - a dentist will fold back the affected gum tissue to remove the harmful bacteria from the pockets and then secure the gum tissue in place over the tooth root. Regeneration - after a pocket depth reduction procedure, the dentist can use a regenerative material such as a membrane, graft tissue, or tissue-stimulating protein to promote natural bone and tissue regeneration in the affected area. The latest conservative gum therapy uses a laser. 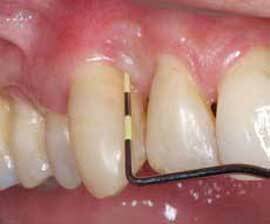 The laser gently disinfects and evaporates diseased tissues from around the tooth and inside the gum pocket. 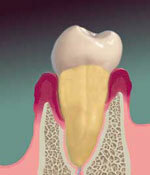 This treatment interrupts the bacterial destruction of the tissues and bones, giving the gum pocket a chance to heal. 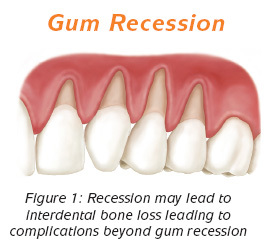 Systematic repeated therapeutic appointments generally two to eight, allow the gum pocket to be disease-free and sometimes allow tissues to reattach to the pocket back to a normal or near-normal depth. This new laser therapy is gentle, less painful and has a quicker recovery. While surgery may still be indicated for severely advanced periodontal cases, laser therapy is a much more conservative, effective, and comfortable option for beginning to moderate periodontal cases. If you are concerned about receding gums, set up a consultation with Stoma today!